The Downton Abbey movie trailer is here and good lord we are excited. The official teaser for the Downton Abbey movie is here and good lord, we are excited. Settle your kettle and make yourself a cream and jam scone, because we just got our first teaser for the film adaptation of Downton Abbey, and consider us sufficiently teased. It’s all very intriguing, and we are very excited. Unfortunately when it comes to the plot, the cast and crew are being more tight-lipped than the Dowager Lady Grantham (played by the fabulous Maggie Smith AKA Professor McGonagall) before her first cup of tea, but here’s what we know so far. According to Irish actor Allen Leech, who plays chauffeur Tom Branson, the film will definitely live up to its hype. “It’s a big, epic story that’s definitely going to fill the big screen,” he said, speaking to Vanity Fair in October this year. Thankfully, we also know the majority of the cast members will be making an appearance in the film, with Michelle Dockery, Hugh Bonneville, Maggie Smith, Elizabeth McGovern, Laura Carmichael and Joanne Groggatt all returning to reprise their original roles from the TV series. Thanks to a character list in the teaser, we also pretty much know which characters will be featured in the film and there’s going to be A LOT going on. THEY&apos;RE BACK. Image: Focus Features. In terms of when the film will be set, it&apos;s expected the storyline will take place between 1926 and 1930, which continues on from the TV series, which ended in 1925. As reported by Vanity Fair, the film&apos;s screenwriter and producer Julian Fellowes has confirmed “he does not want to catapult the Crawleys into the 1930s”. Now all that&apos;s left to do is wait until Downton Abbey finally hits cinemas on September 13, 2019 and although we have a while to wait, this just means we can watch and re-watch the original six seasons on Netflix. 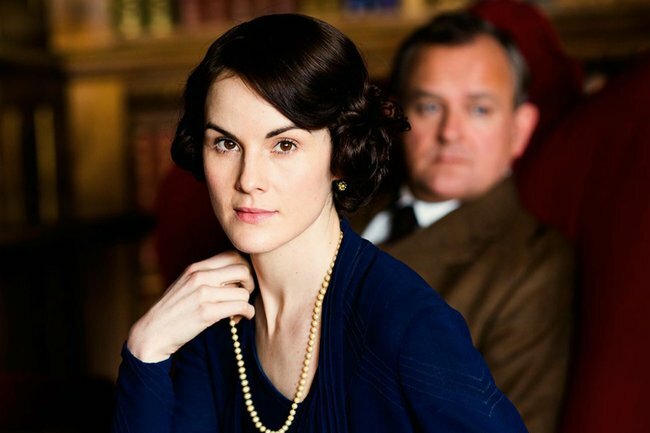 Are you excited for the Downton Abbey film? Tell us in a comment below.